Morning gents! It’s Max from The Young Gentleman’s Guide here, and happy summer! Today was my local school district’s last day of school, so now all the students get two months of vacation and revelry before the next school year! Or if you’re like me, you spend months trying to find a real summer job, clearly not the most fun way to spend summer. And for any of you who happen to be dating, it’ll give you gents plenty of time to spend with your special lady! And with that in mind, I’m going to list out five (5) fun and creative Summer date ideas in case you two start to get bored of the same old thing! So without any further ado, let’s start the list! So I live in Ventura, California, where the Ventura County Fair is a pretty big deal every year, and rightfully so. Sure, it has all the regular fair things, like carnival rides, games, and enough funnel cake to give you a heart attack, but the Ventura County Fair is something special. We also have art and photo galleries, local vendors, animal shows, and a show stage for any and all performers, big and small to showcase their talents. Some big names we’ve had on the show stage in the past include the Beach Boys, Styx, Smash Mouth, and my personal favorite, Big Bad Voodoo Daddy (about whom I’ve written an entirely separate post on, linked right here, Big Bad Voodoo Daddy: The Perfect Model for Gentlemen, shameless plug ;D). But even if your local fair doesn’t have all of that, there are still plenty of fun things for you and your lady friend to enjoy at your local fair, so if you can find any fairs or carnivals nearby, it could make for a fun date with plenty of things to do and see for people of all ages! This should seem like a no-brainer! Summer is the sunniest time of the year (at least it is in the States), and if you don’t have an opportunity to soak up that summer sun at the beach, then why not go for a picnic? Take your lady, some sandwiches, and some other finger foods, lay out a blanket at your local park and just have some fun! It’s a lot cheaper than having to pay to go out for lunch, and it also lets you get some fresh summer air while also getting your grub on! So in short, I really don’t have any reasons not to go on a picnic! It’s fun, it’s delicious, it’s refreshing, and it just seems like a win for everybody! Are you feeling adventurous? Are you and your gal looking to get some exercise together? Than maybe you two should go on a hike together! This is also a pretty good follow-up to number 3. You can hike to a decent picnic spot, or if nothing else, it’s just an excuse to get outside with your lady. 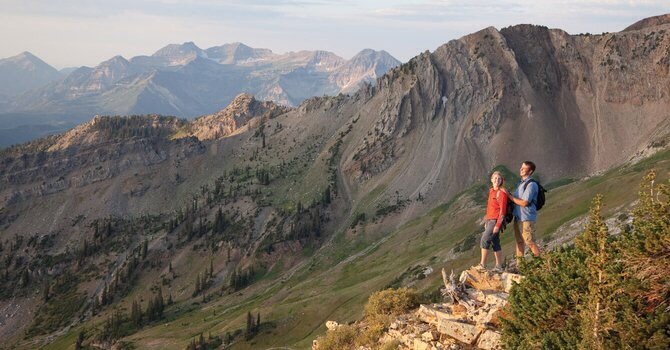 Plus, and this may sound rather strange, but hiking can also be a pretty good commitment exercise. Allow me to explain. Hiking requires a lot of vigilance, and demands that you periodically check on each other, making sure you’re both hydrated, properly fed, and that no one’s falling behind. It doesn’t matter how long or short the hike may be, that type of vigilance and observation is a constant requirement. So if you’re looking to get some fresh air, some decent exercise, or great commitment exercise, consider taking your lady on a hike! Anyone who’s watched Mary Poppins the whole way through has seen that flying a kite is a lot of fun! While it may sound childish, sometimes everyone needs to let out their inner child every now and then (in my opinion, that’s why you see so many adults at Disneyland). 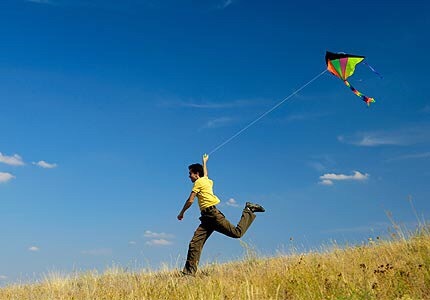 Plus, if it’s a big, heavy kite, it may require a lot of cooperation between you and your partner. There’s not really much else to say. It’s fun, enjoyably childish, and requires quite a bit of cooperation between the two of you. Moving on. I decided to put this one at number 5 since drive-in movie theaters are a bit hard to come by these days. 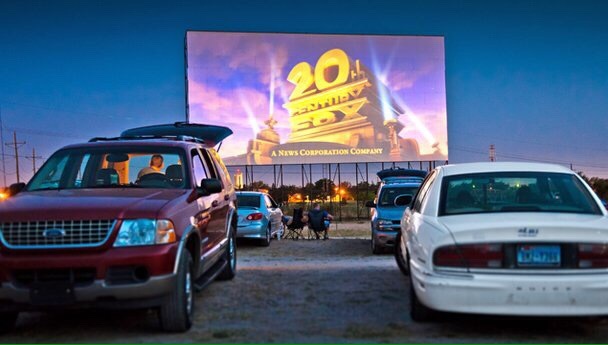 But if you’re looking for a fun evening date with your lady and are tired of the same old thing, a drive-in movie is the perfect trip down memory lane! There’s also just a romantic atmosphere about it, having the sun set around you while watching a classic movie, the scent of buttered popcorn wafting through the car, it just seems like something out of a 1950s teen paradise. So while they may be hard to come by, a drive-in movie can make for a very romantic evening for you and your lover. So there it is! Five (5) fun and romantic summe date ideas, for any of you young gents who are getting bored of the same old thing. Any guy who takes their woman out to a date like any of these is sure to have a wonderful summer. Again, I would like to wish everyone a happy summer, and a sincere congratulations to any and all graduates, whether it’s elementary school, middle school, high school, college, or anything in between! In any case, thank you so much for reading today’s post from The Young Gentleman’s guide, and nothing would make me happier than if you shared this post with a friend, followed the blog, and checked out The Young Gentleman’s Guide on Facebook, Twitter, and Instagram. And on that note, this is Max from The Young Gentleman’s Guide, and I’ll see you next time!